We have tried to capture the story of the Lethbridge Maple Leafs and provide a site to post stories, documents, links and photos of their incredible journey to the Championship. To read their great story from the beginning, scroll to the bottom of the site to part 1 and work your way up through the 34 parts (You may have to click on “older posts” at the bottom to get to part 1). Each part is in chronological order and describes a part of the journey and many contain photos (We continue to add new photos to these posts as we get them). 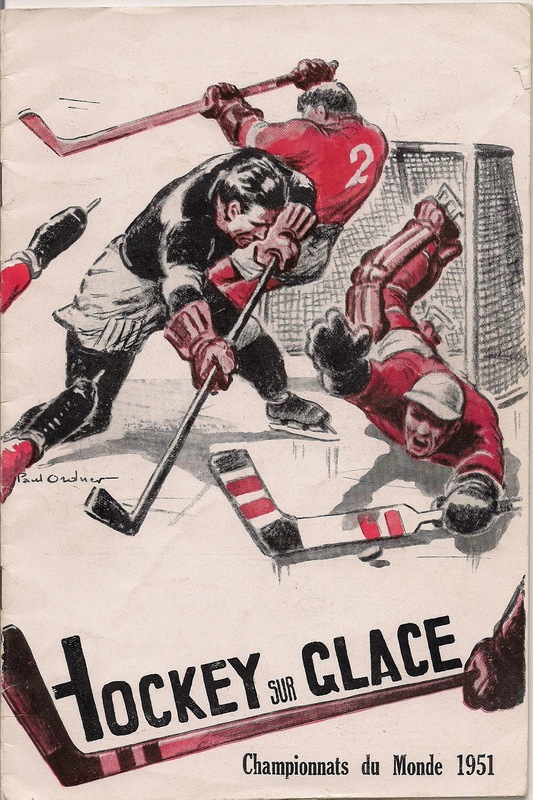 After part 34 we are posting current related activities, stories and photos from the Galt Museum & Archives, Lethbridge Hurricanes, City of Lethbridge and private collections, as they become available. If you have a photo or story contribution for the site we would be happy to post it. ﻿﻿Thanks to James Sinclair, a long time fan of the Lethbridge Maple Leafs, for contributing his collection for display on the site including including photos of the 1951 Paris world championship program and opening ceremony. James helped the Lethbridge Maple Leafs organize their 50th Anniversary in 2001. He got to know all the players and the local ones let him go through their personal photo albums. He also was responsible for getting them their Championship rings. This is undoubtedly the Cinderella hockey club of all time. 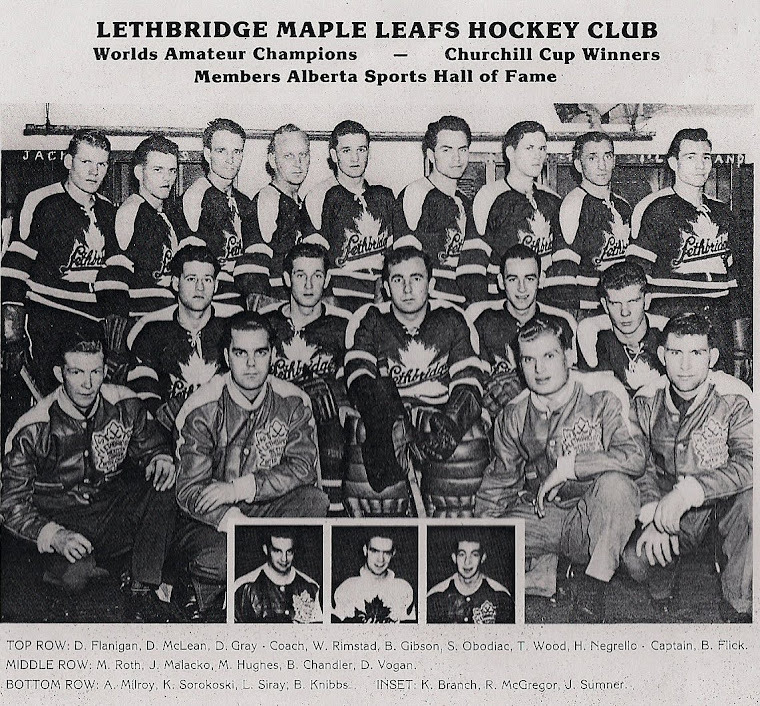 The Canadian Amateur Hockey Association selected the Lethbridge Maple Leafs to represent Canada after they had won the Western Canadian Championship in 1950. 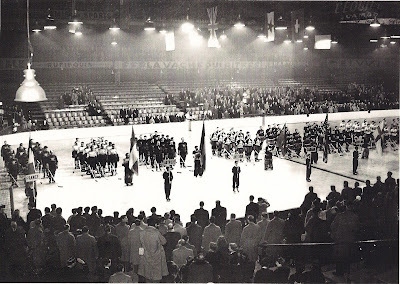 Prior to their world championship win they completed an extensive European tour. They posted a very impressive record of 51 wins, 4 ties and 7 loses. They also won the Sir Winston Churchill Cup Competition. © Just Group 2010-2016. Simple theme. Theme images by francisblack. Powered by Blogger.